The 3.28 lb. 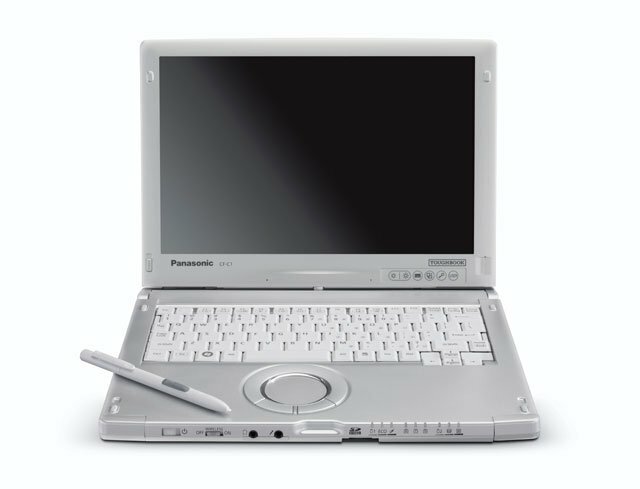 Panasonic Toughbook C1 with swiveling screen features an array of industry-leading advancements, such as being the first rugged convertible to a hot-swappable twin battery design for continuous use. The Toughbook C1 comes equipped with the Intel Core i5 vPro Processor. The Toughbook C1 is available with a multi-touch + digitizer screen for finger and gesture computing and an electronic stylus. The ergonomic strap and dome cradle the hand for comfortable long-term use. The Toughbook C1 features a unique, durable triple hinge design - two hinges for opening and closing the screen, and another hinge for rotating the screen into tablet mode. InfoCase Shoulder Strap and Hardware Kit Allows the Addition of a Shoulder Strap to your CF-C1. The Panasonic CF-C1ADAGZ6M is also known as CF-C1ADAGZ6M	or CFC1ADAGZ6M	.